All the Sullivans are good cops.... The last Sullivan is a girl. Can she stack up against the boys? Kay Sullivan Lynch, reinstated to the Chicago Police Department after two years as a widowed mom of four, not only plans to excel on the force, but to show her brothers - who opposed her return to "the job" - that she's up to the challenge. 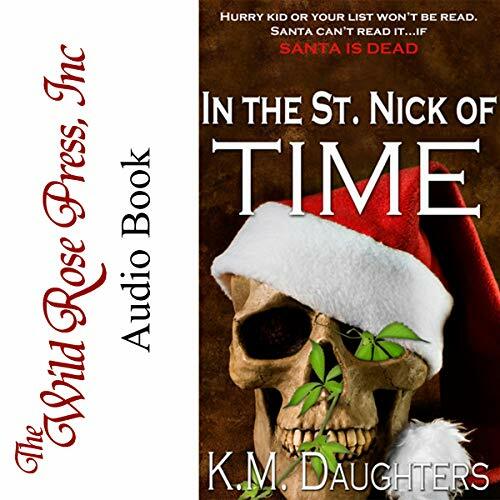 Captain Flynn Dowd, battling demons of his own, empathizes with Kay's struggles - but Sidewalk Santas collecting for the hungry are dropping dead all over Chicago. No apparent motive, no identifiable MO. It's up to Kay and Flynn to stop the "Santa Slayer." As they race against time to stop the killer, Kay's grief-deadened senses awaken to Flynn's overwhelming sexual magnetism. But when he becomes more than just her partner, will her kids' opposition force her to choose between motherhood and her man? This was an exciting and wonderful conclusion to the Sullivan Boys series. I loved the fact that it involved their sister Kay and that she got her story and happy ending as well. When Kay decides to return to police work her brother’s reactions are not quite what I would have expected from the loving and caring family in previous books. I thought they were a bit over the top however all worked out in the end. I loved her strength and tenacity and the fact that she didn’t let her brothers dictate what she should do. Flynn Dowd was the perfect hero for her and I fell in love with him right from the start. As with most of the series, there was a bit more romance than suspense however just enough of each to keep you interested. There were of course some bumps in the road for Kay to overcome with her children, which made the story that much more believable. This was a very entertaining and enjoyable story and I am sorry to see the end of the Sullivan family. Ted Brooks was once again wonderful to listen to as he narrated with his various voices. I will be listening to this series over again periodically as I have enjoyed each and every one of these books. Thank you K. M. Daughters for a wonderfully written series.